The late great actor, Sir Peter Ustinov, once described Toronto as “New York run by the Swiss”. Montreal, on the other hand, has always remained North America’s Paris – francophone, sophisticated, stylish, rebellious, avant-garde, and some 225 years older than the founding of Canada itself. Home to the Montreal Canadiens, the most successful and storied hockey team in history. Home to most of the best cuisine on the American continent (see our Foodie section for some of our faves), and home to the some of the best night clubs ever (the Rat Pack used to come to the city to party for real – no joke). Montreal is THE Mecca for anyone on this side of the Atlantic wanting to find Europe without going there. Trick of the mind you may ask? Non mon ami, but know that Montreal’s flair is so legendary that many of the greatest rock bands in history have altered their tour schedules simply to have the honour (and the good times that go with it) to play in North America’s Europe. 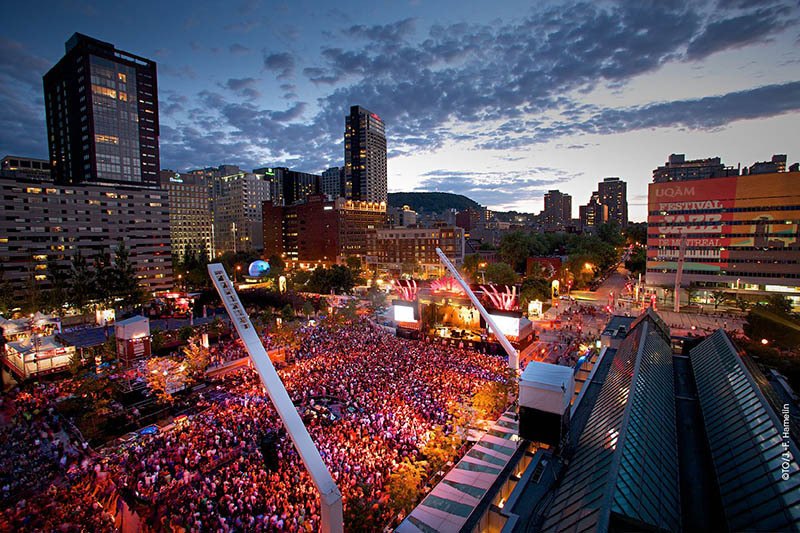 Which makes it not surprising that Montreal is also Canada’s festival capital, and, arguably, one of the greatest festival cities on Earth. BKM has sought out three of the city’s top promoters, bookers, curators and festival organizers to get their take as to what makes the French Metropolis so special in their endeavours to bring quality festivals to the public. And their most common answer was the application of Montreal’s culture to make the local festival scene unique and global. We had the opportunity to sit down with Nick Farkas, of Evenko, to start our investigation. Not only was he a distinguished gentleman for taking the time to be interviewed during the rush prior OSHEAGA (of which he is one of the chief architects), but mostly because he took the time to share his knowledge and experience as to what it is about Montreal that helped him build one of the most successful music events in the world. And his answer you may ask? “The little details of Montreal’s culture.”By providing 24/7 food cooked professionally by Montreal chefs like Chuck Hughes for musicians on tour, makes a difference. “That factor alone has attracted some of the biggest bands on the planet to come and tour in Montreal”. Another great example that Mr. Farkas mentioned was using nature to blend the surroundings of festival goers and the event organically in order to augment their experience. Canada has plenty of nature to be used in an eco-friendly way to absorb individuals into a fairy like wonderland of music and celebration. When combined with the ghosts of the Old French Empire, is why even a city like New York has difficulty competing with Montreal on many fronts. Love is a sweet horned Goddess I’ve invited here. That’s a Cult reference. Quebec is often a cult as well. One should not underestimate her powers of influence and the love most have for Her. Something that Mr. Farkas was quick to point out: The main key components of the success of Montreal are the musical zealots of the city, its energy, and the talent base that is to be found there – which encourages musicians and tourists from elsewhere to enjoy the cheap apartment and studio rent. Daniel Seligman, another veteran Montreal festival promoter/organizer from Pop Montreal reminded us that for a great festival you not only need the local gems that Montreal can offer, but that you also need a great team and a sense of humour to get through the rough patches and make artists feel well represented. Technology obviously helps festivals of today do things that were unthinkable several years ago, but in essence what truly makes a great festival is the intelligent application of the local culture, talent, and resources that make a place uniquely special in our unstable globalized world. And this is why Montreal is top on that map. Smart people using a sophisticatedly smart culture to make great events. Make sure to catch the last of this year’s festival season in this French Metropolis that is celebrating it’s 375th birthday. 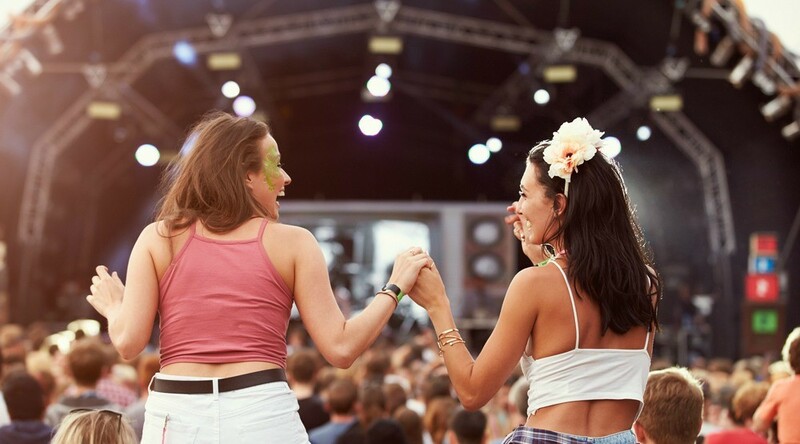 We cover the best festivals from the underground to the grand! Not pulling your leg with this 2 step Pulled pork!